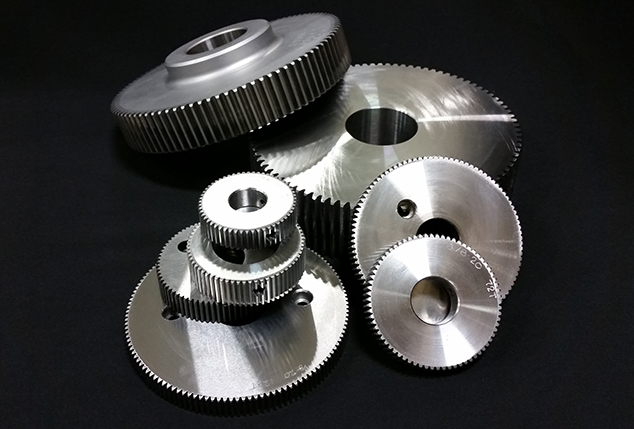 Hardened gears offer increased life when used in areas where gear access is difficult and time consuming. Extended life makes gear change less frequent, reducing costs. AGMA 10 gearing is essential for tooling where tight tolerance production is required. By reducing tooth-to-tooth composite error, dies produce consistent tight-tolerance parts. Phase Adjustable gearing from Midway is a must for matched set tooling. The simple design allows precise matching of die and anvil for single station cutting and creasing applications. The ability to adjust tooling without removing the dies saves considerable press time.